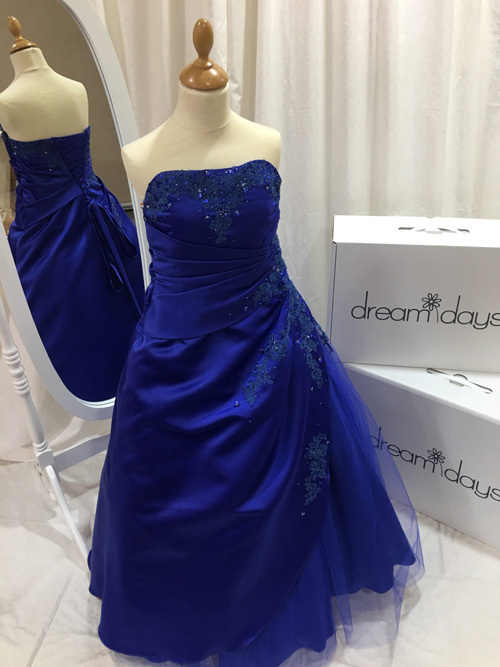 A ball gown to wow your friends. This prom dress comes with the option to have with or without straps. The satin lace back bodice sweeps round onto the full tulle ball gown skirt. Lace appliqued motifs finish this dress off beauifully.